One baseball loving teen knocked it out of the park with her prom photos. 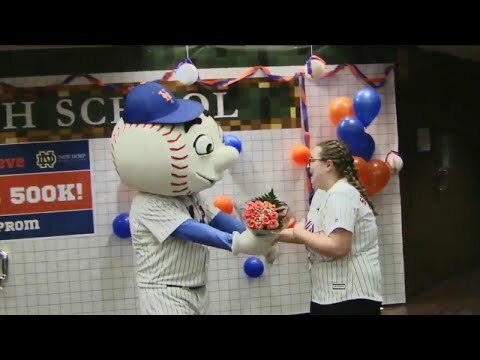 Back in January, Callie Quinn asked her favorite team, the New York Mets if she could have a pre-prom photo shoot at Citi Field. They agreed, but only if she got 500,000 retweets of a photo of their conversation. On prom night, wearing a custom made dress in Mets blue, Callie took the field for her photos. InsideEdition.com’s Mara Montalbano (https://twitter.com/MaraMontalbano) has more.